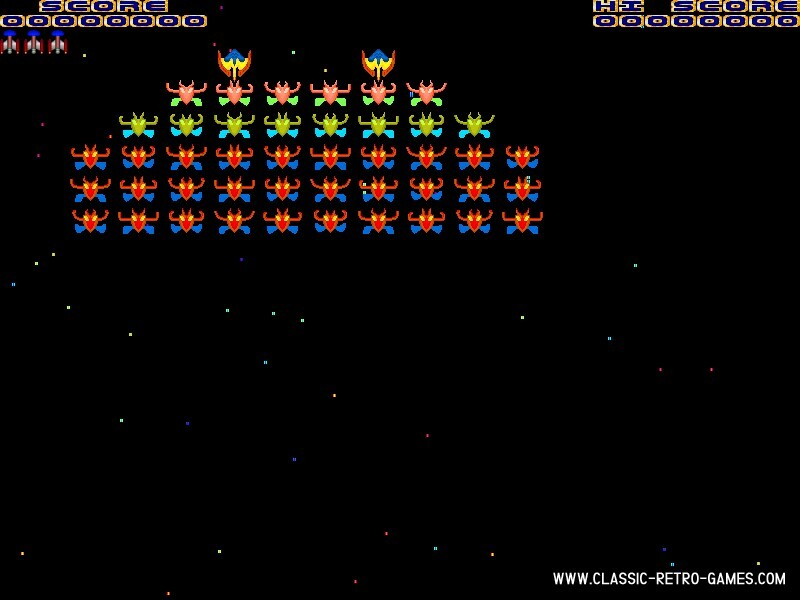 One of the greatest Arcade games of the seventies must be Galaxian. The excitement of getting your abducted ship back as double ship is something you surely will remember. 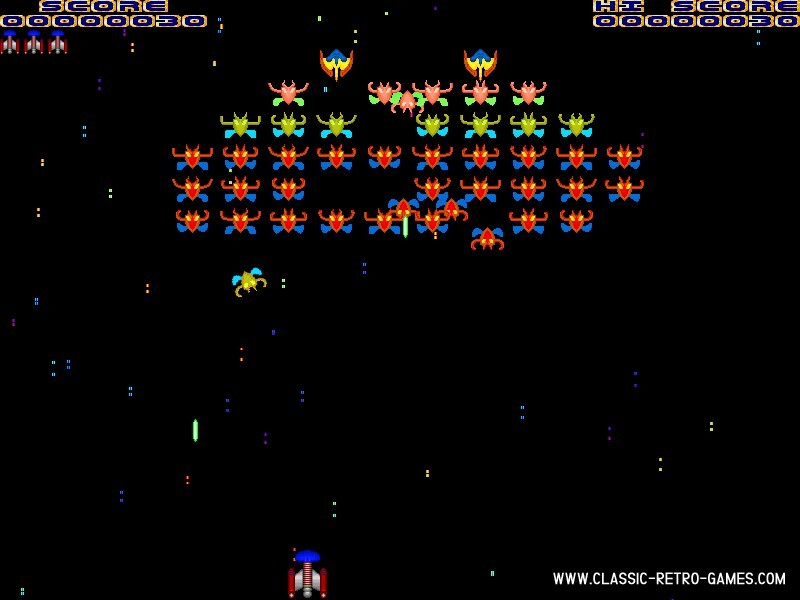 While the aliens are just 16x16 pixel sprites they did feel real to me in 1979! MinionSoft did a great job remaking this classic for Windows PC. It has modern graphics and feels a bit laggy at times, but it's a great free tribute to the original game. 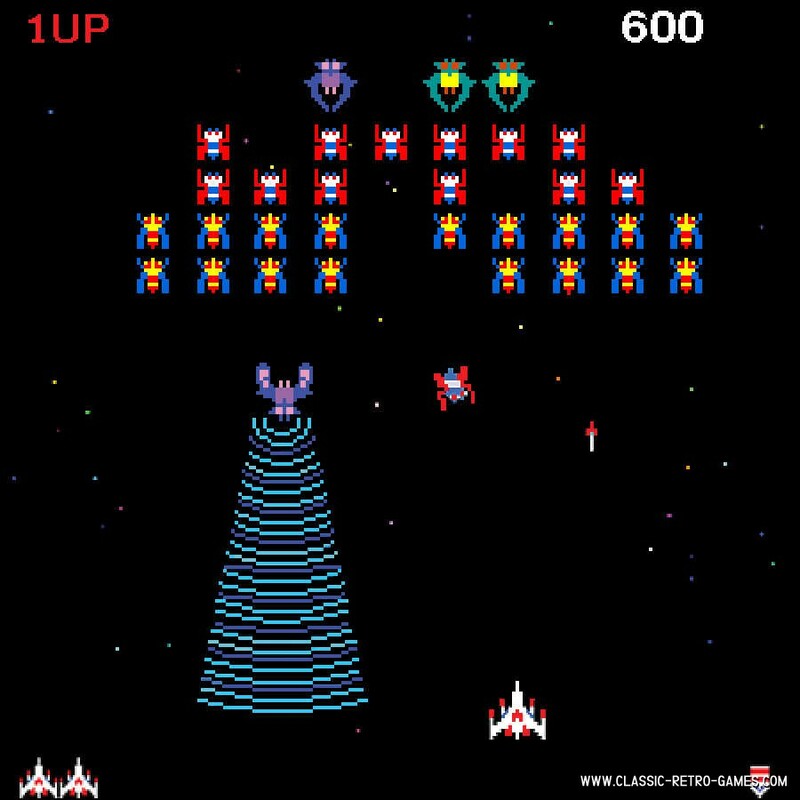 Just download this free Galaxian game for PC and try to get that double ship! Currently rated: 1.8 / 5 stars by 44 gamers.